All posts by Camilleri Dr.
Mar 28 Comments Off on Are my teeth and gums healthy? You should be asking yourself this question and take a quick look at the inside of your mouth from time to time. A few checks and you should have a fair idea of whether your teeth and gums are healthy or perhaps whether there may be some underlying condition which may require a visit to the dentist’s. We seem to invariably concentrate on looking at our teeth and how straight, clean or white they are, often ignoring our gums. People many times don’t realize just how important the gums, the tongue and our entire mouth actually is. Healthy gums should not be any other colour but pink. If they appear too red or too white, then there could be a dental issue. You may find yourself wondering if your gums are the right “healthy” pink or not. Running your fingers gently on the surface of your gums should be a good check for you to carry out hand in hand with your gum colour check. If sliding your finger across your gums results in any discomfort, pain or bleeding there could be an underlying problem. 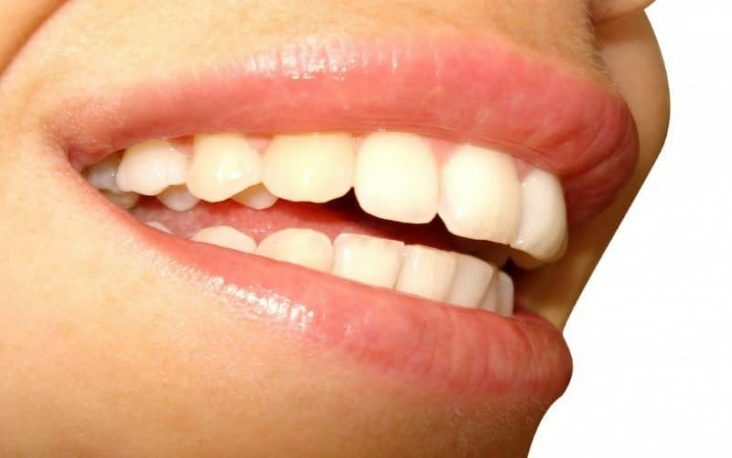 You should examine your entire mouth – oral health is called “oral health” because it is concerned with the overall health of all parts of the mouth not just the teeth. Your tongue should be pink (not white or crackled) and you mouth should feel moist which a constant flow of saliva. Saliva is important for a number of reasons – besides carrying out part of the digestive process, it also help flush and clean our mouths. If you suffer from a dry mouth, a condition known as xerostomia, you should definitely get it seem to. A dry mouth can be a side effect of some medications but it can also be a sign of an underlying condition like diabetes or Alzheimer’s. When brushing your teeth remember to also brush your tongue. Plaque build up also happens here and brushing will ensure a healthier mouth, preventing bad breath and a host of other potential issues. We may begin by keeping in mind that as nice and fresh as that minty after taste from mouth wash or toothpaste is, our mouths and breaths do not naturally smell minty. This said, a healthy mouth shouldn’t smell good or bad but rather neutral. Mouths that emit foul odours are indicative of something happening either in the mouth (perhaps tooth decay) or the stomach or in both. Gums can bleed from time to time, so a bit of blood is not usually anything to be concerned about. However, if you see that bleeding is consistent and happens with every brushing it might be time to visit us. The number one cause of bleeding gums is built up plaque. You can begin by going over your brushing technique; you may not be using the correct motions or perhaps not actually brushing your gums but only your teeth (a common mistake we often hear about when talking to our patients). Brushing too hard can also cause the gums to bleed – keep light-handed, no need to for pressure or vigorous brushing. Time to visit your dentist? Now that you’ve read this, are you ready to make sure to keep your mouth healthy? Camilleri clinic is one of Malta’s leading dental clinics. Based in Sliema, we are a team of dentists available to guide you and help you achieve optimal oral health. We believe in long-term relationships with every one of our patients and strive to provide you with the level of treatment that we hope will leave you beaming or at least happy enough to return to your preferred dentist. Brushing your teeth is essential to long term oral health. Not only this, but if you aim to have whiter and cleaner teeth and not lose the confidence to smile, a few tips about how to brush teeth will go a long way. 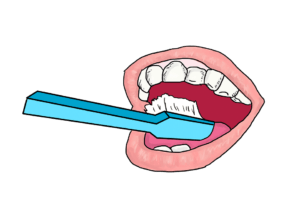 People often run to brush their teeth straight after they eat – they often are compelled to do this because of an odd taste in their mouth or because they are conscious of unpleasant breathe – or perhaps just out of habit. We know that food consumption does cause bacteria to grow in the mouth but after eating or consuming beverages other than water, your enamel is at its softest which means you also more at risk of wear and tear. If you really feel you need to brush your teeth after a meal, wait 30 minutes to give your enamel time to harden. Also remember to keep your consumption of sugary drinks and foods as well as those high in acids to moderate to low amounts. Brushing too often is not good for your teeth as it could results in loss of enamel from the teeth. Ideally twice a day is fine. The aim of tooth brushing it to remove food and plaque from between the teeth. Not brushing will result in problems – erosion and cavities. Plaque will start to form which might require scaling and cleaning. Whilst Camilleri dental clinic can provide all types of dental treatment, we still believe prevention is better than having to resort to dental and oral treatments that are due to poor oral hygiene. Floss – this can help remove those nitty gritty particales tightly wedges in the deep recesses of your mouth. Drink water – at least 8 glasses a day. This will help keep your mouth flushed clean and reduce acids and bacteria. Brushing your teeth in the morning is important as after a night’s sleep there is a build up of tarter. It also prevents or eliminates the dreaded morning breathe and gets your salivation flowing. 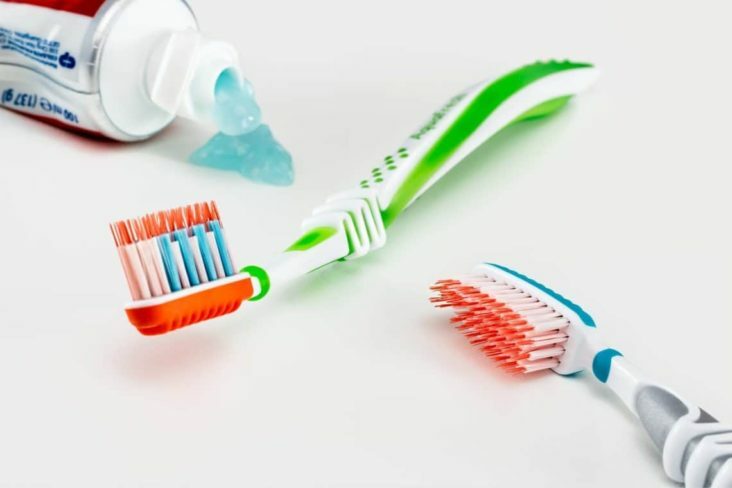 Hold your tooth brush at around 45 degrees and use upward movements to lift out any food particles and debris from between the teeth – do not press when you brush your teeth as this can cause damage to the enamel over the long term. Brushing should last around 2 minutes.